These are properties, which are used for classification and identification of Soil. 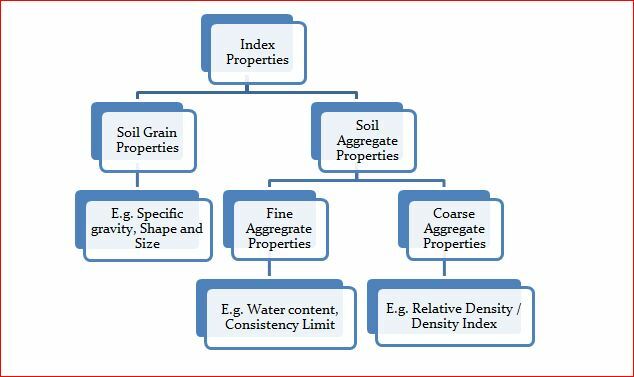 Index properties are the properties of soil that help in identification and classification of soil. These properties are generally determined in the laboratory. In situ density and relative density require undisturbed sample extraction while other quantities can be determined from disturbed soil sampling. Following are the major properties of soils.